Hackett is a great water in a peaceful location, less than 4 miles from Nottingham featuring 2 two purpose-built fishing lakes. 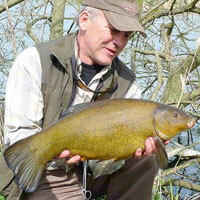 It is a well stocked venue which is proven by the impressive catch records. The lakes have established themselves over the past ten years. 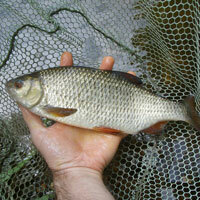 A strong stocking policy has seen over 17,000 carp added since 2000. Lake 1 – This is the smaller of our two fishing lakes and is an ideal match lake. As recently as 2005 it was stocked with carp varying up 20lbs in weight. 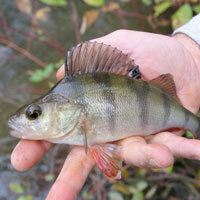 Abundant perch, chub and roach are also found in the reeds while tench tend to favour further waters. Lake 2 – The larger of the two fishing lakes was also stocked with similarly sized carp in 2005 and offers the keen angler some of the best fishing in Nottingham. 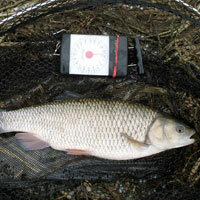 When fishing during the summer perch, chub and roach can be found in the reeds but move to deeper pools in the winter when the water cools. If you fancy something a bit different, Polser Brook runs along the back of the venue. This 2ft deep and 6ft wide stream is packed with silverfish. Address: Adbolton Lane, Holme Pierrepont, Nottingham, NG12 2LD. Leave Nottingham heading south on A60 London Road, turn left onto Cattle Market Road and then right onto County Road. After approximately 0.2 miles, turn right onto Meadow Lane and the right again onto Lady Bay Bridge. Continue along Radcliffe Road towards Holme Pierrepont. Turn left onto Regatta Way and then onto Adbolton Lane. Continue until you reach Hackett Lakes which are clearly signposted on the right hand side.